Robert Johnson’s life was not very long or well documented. We know the facts of his biography—where he was born, who he married, where he roamed—but don’t know very much about the man himself, at least not the way we know artists like Elvis Presley or Ray Charles or Johnny Cash—men who left extensive records of themselves and their demons. By contrast, Johnson remains something of a ghost: a smiling face in an old promotional photo, unreadable and unfathomable. Guralnick published his book in 1989, and a year later Columbia released the foundational box set Robert Johnson: The Complete Recordings, which remains an essential title for any serious fan of blues or rock and roll. 20 years later, we know much more about Johnson, thanks to the work of writers and researchers like Steve Lavere, Elijah Wald and screenwriter Alan Greensburg (author of the infamously unfilmed screenplay Love In Vain). That makes the new Centennial Collection, released to coincide with the 100th anniversary of Johnson’s birth in Hazlehurst, Miss., more than simply a repackaging of familiar tunes. In 2011 we think of Johnson in particular and the blues in general very differently than we did in 1990. The Baby Boomers who lionized Johnson in the 1960s wield decreasing power in the pop marketplace, and young acts like the Avett Brothers and Fleet Foxes are finding inspiration in rural white folk from the Depression era instead of the blues. Perhaps on the occurrence of this centennial, it’s worthwhile to stop thinking of Johnson as simply a bluesman and reconsider him as something different, something larger, something we don’t quite have a name for—something like a black folk artist. That’s certainly the impression conveyed by the Centennial Collection, particularly the deluxe edition available through the Robert Johnson website. Whereas the main version collects all 42 of his known recordings on two CDs, the exclusive edition also includes two discs of contemporary music: one featuring fellow blues musicians like Furry Lewis and Sleepy John Estes, the other featuring country and Tejano acts like the Light Crust Doughboys and Andres Berlanga y Fancisco Montalva. Listening to their songs alongside Johnson’s only underscores his stylistic breadth, most obviously in the ragtime “They’re Red Hot” but also in the jazzy asides of “Last Fair Deal Gone Down,” the gospel testimonial of “Ramblin’ on My Mind,” and the subtle swing of “Traveling Riverside Blues.” Johnson is most highly praised for his depth of feeling—and the apocalyptic “Hell Hound on My Trail” certainly bears that out—but he was a subtle and playful stylist, a man who conveys a wry humor in his lyrics and a spry dexterity in his guitar licks. Perhaps that’s why these songs, none of which are new and most of which will be familiar through the originals or endless covers, still sound so lively 20 years after the last box set and 80 years after their creation: Every note, every riff, every line conveys the impression of a very real and very lively person: lusty, funny, scared, haunted, and most of all intoxicated by his own musical mastery. 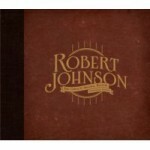 Even at his most low down, Johnson’s music still expresses an intense joy in creation. In 2011, his blues sound less supernatural, but that only restores his humanity and allows his music to resonate powerfully in the 21st century.